I have written many tutorials on hacking using Metasploit, including leaving no evidence behind and exploring the inner architecture. Also, there are my Metasploit cheat sheets for commands and hacking scripts. With this guide, I'm starting a sequential and cumulative series for learning and using Metasploit. This first part will cover the very basics of Metasploit for those of you who are new to Null Byte, and as a refresher for those of you who are not. With that in mind, this will be quick and dirty first lesson on using one of the most powerful hacking platforms on planet Earth. Metasploit is now in version 4.9.3, which is included in our Kali Linux. It's also built into BackTrack. For those of you using some other version of Linux or Unix (including Mac OS), you can download Metasploit from Rapid7's website. For those of you using Windows, you can also grab it from Rapid7, but I do not recommend running Metasploit in Windows. Although you can download and install it, some of the capabilities of this hacking framework do not translate over to the Windows operating system, and many of my hacks here on Null Byte will not work on the Windows platform. In my tutorial on creating payloads to evade AV software, we are using the msfencode and msfpayload command in the command line (msfcli) mode. Armitage is a GUI overlay on Metasploit that operates in a client/server architecture. 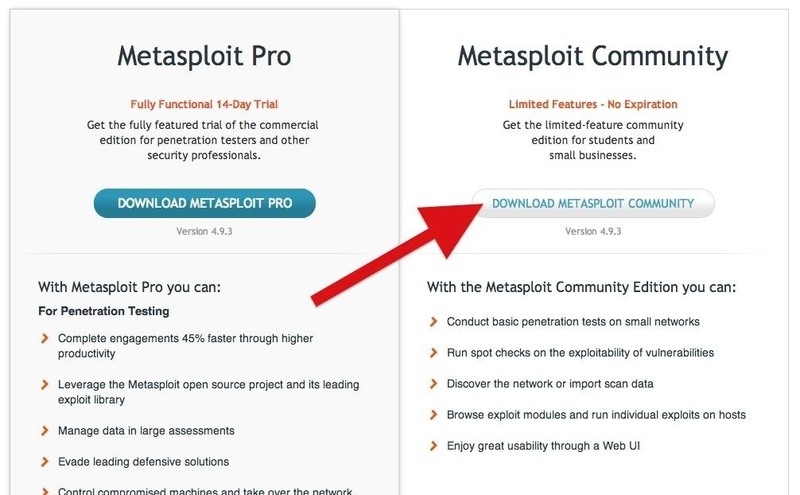 You start Metasploit as a server and Armitage becomes the client, thereby giving you full access to Metasploit's features through a full featured—thought not completely intuitive—GUI. If you really need a GUI to feel comfortable, I don't want to discourage you from using Armitage, but mastering the command line is a necessity for any self-respecting hacker. Payloads are the code that we will leave behind on the hacked system. Some people call these listeners, rootkits, etc. In Metasploit, they are referred to as payloads. These payloads include command shells, Meterpreter, etc. The payloads can be staged, inline, NoNX (bypasses the No execute feature in some modern CPUs), PassiveX (bypasses restricted outbound firewall rules), and IPv6, among others. Nops are short for No OPerationS. In x86 CPUs, it is usually indicated by the hex 0x90. It simply means "do nothing". This can be crucial in creating a buffer overflow. We can view the nops modules by using the show command. Auxiliary includes numerous modules (695) that don't fit into any of the other categories. These include such things are fuzzers, scanners, denial of service attacks, and more. Check out my article on auxiliary modules for more in-depth information for this module. If we know we want to attack a Sun Microsystems machine running Solaris (Sun's UNIX), we may want may to refine our search to only solaris exploits, we can then use platform keyword. 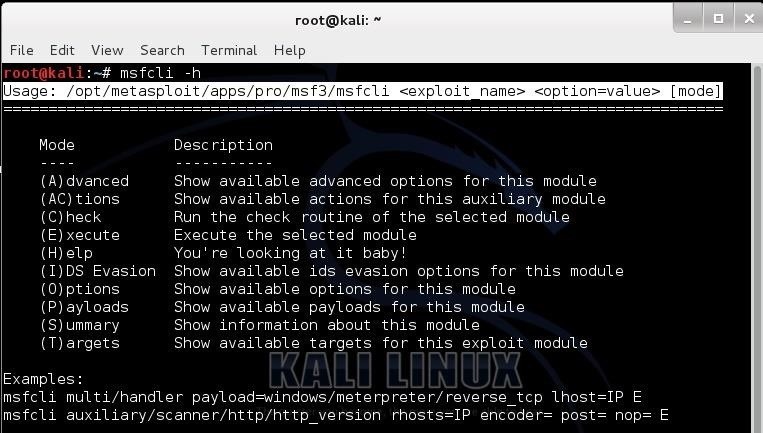 Nice!, I find this very helpful for my virtual running Kali on my android, MSF always freaks out when I try to open the msf command line, the kali > msfcli -h function will be very helpful!, thanks. I'm looking forward to the rest of these series! For some reasons, i had to uninstall metasploit and reinstall it again. i downloaded it and i have done the instructions to install it. i NEED metasploit to launch when i type "msfconsole". (im not lazy, but i need it for some reasons). What should i do?? (im sorry to bother you with this long article). probably the gems need updating. 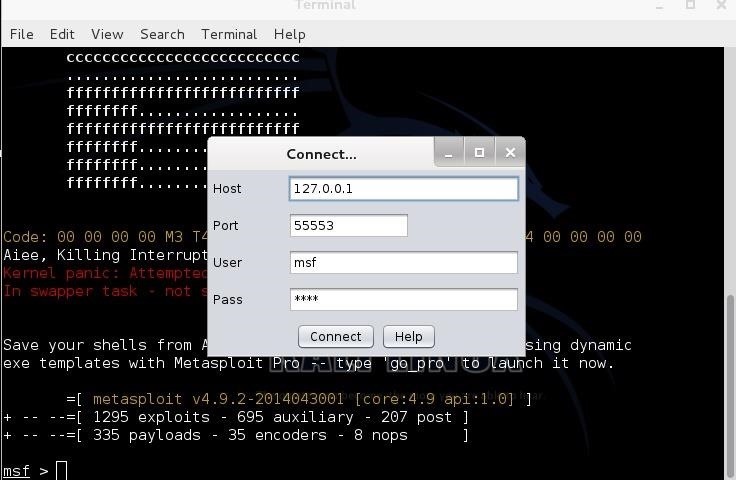 Metasploit is built into Kali. No need to install. 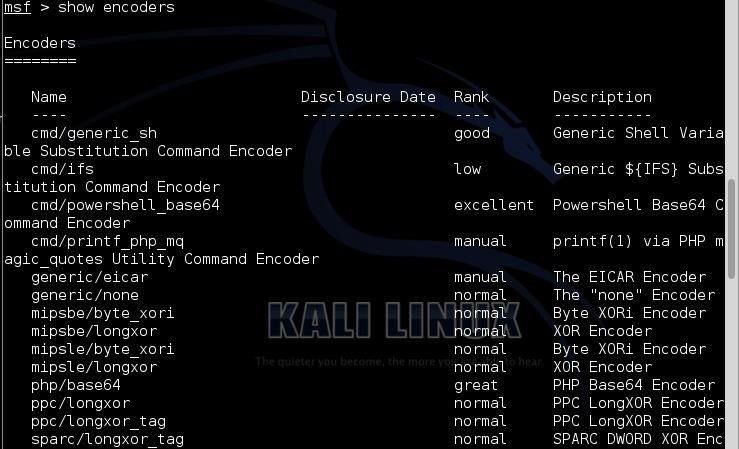 You might find it easier to simply re-install Kali. 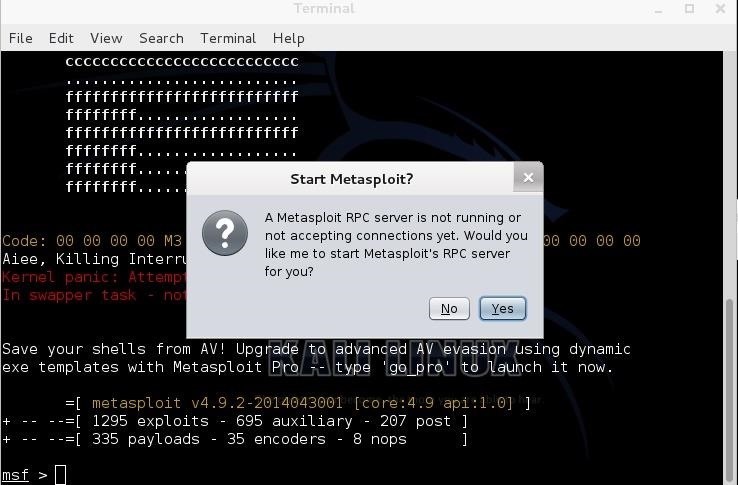 Btw, why did you uninstall Metasploit in the first place? No matter, i fixed metasploit files manually. cannot start because of error. Are you running it on Kali? Yes OTW. Just find your posts, thx so much for the tutorials. Have you tried running msfupdate? When I tried to use the 'msfcli' command I was approached with this error. Yeah just found that out and was about to delete my comment. Thanks anyway. Just wondering, what are your opinions on the removal of msfcli? I honestly am unsure how this comes into effect. So I'm not missing much? HELP any msf command besides msfconsole does not work! (i.e. msfpayload, msfencode, or msfcli) I can see the details of the command via the man pages, however, if I were to type in a command like "msfencode -h" I get a command not found error. Someone please help! When I type the command msfcli inthe kali console it just says " bash: msfcli: command not found ". What should I do?